Windows Store is one of the best and most useful applications for the latest version of Windows operating system (Windows 8, Windows 8.1, and Windows 10). Basically, Windows Store is the online marketplace (application store) for Microsoft Windows operating system users to purchase and download apps and games (free and paid apps). The purpose of Windows store is to make available all certified apps and games for Windows PC at a place. 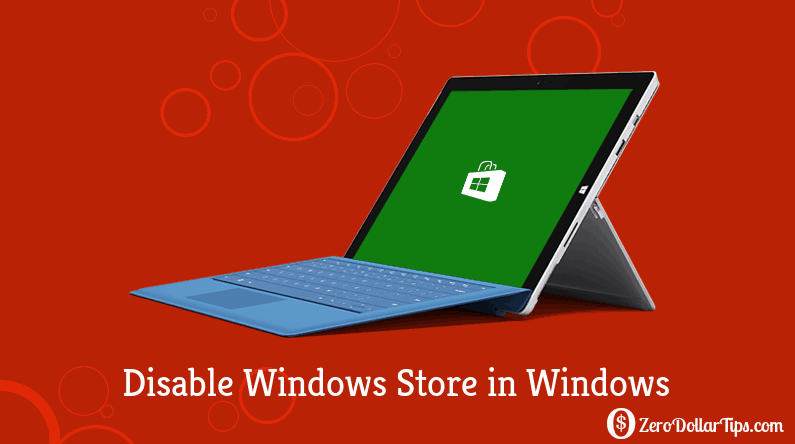 Almost all Windows users like to use the Windows Store for getting quality applications for PC. But in case, if you do not use the Windows Store to get Windows Store apps or if you have shared your computer among other users then obviously you will wish to turn off the Windows Store in Windows PC. Step (1): First of all, press Win + R key combination together to bring up the Run dialog box. After that, type gpedit.msc in Run box and press Enter to open the Local Group Policy Editor. 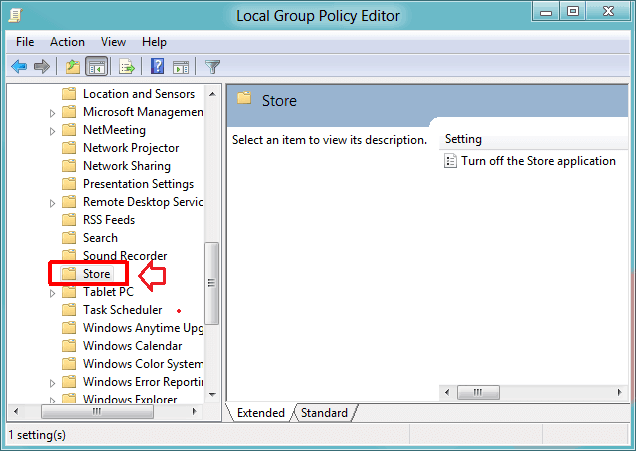 Step (3): On the right pane of local group policy editor, you will see “Turn off the Store application” option under the Setting page. Step (4): Double-click on “Turn off the Store application” option to open the Settings box. Now select Enabled option and click on Apply. Step (5): Once it’s done then exit Group Policy Editor. Enabling “Turn off the Store application” setting will deny the access to the Microsoft windows store. Now, if someone will try to access the Windows store on your PC then they will get a message like “Windows Store isn’t available on this PC. Contact your system administrator for more information”. Follow the same steps and select disable or don’t configure option from the setting in order to turn ON or enable Windows Store in Windows 8, Windows 8.1, and Windows 10 operating system. Step (1): At first, press Win + R key combination together to bring up the Run dialog box. After that, type regedit in Run box and press Enter to open the Registry Editor. Step (3): From the right pane of the registry editor, double-click on RemoveWindowsStore registry key and set the value data 1. Finally click OK. If RemoveWindowsStore registry key is not available in WindowsStore key then create a new DWORD value with name “RemoveWindowsStore” and set the value data 1 then click on OK. Step (4): Once it’s done, restart your computer. really thanks for it because every time my apps on windows update regularly but i am not used any app single time still. they used my internet and slow down my speed also. so finally way to stop store app update found here. Only with the W10 Enterprise version the disabling still works.